Parents. Do you have your child in either a day care center or extended care for after school? For all of the parents who work, day care is very important. It allows you to work and pay the bills and provide for your family. For single parents it is even more important. It provides for a safe space for your child from the time they get out of school until you get off work. The Reyes Martial Arts After School Karate Program is the perfect alternative to day care. Instead of leaving your child home alone and unsupervised or put them in a day care where they get no attention and bullies terrorize them. Enroll your child in an after school program that teaches courtesy, self-control, integrity, respect, perseverance, discipline, and self defense. Our innovative Martial Arts After School Program blends two important programs into one. We are dedicated to the scholastic achievement of our martial arts students. We stress a B average and reward achievers. Students arrive from school and immediately start their homework assignments. All students have 1 hour to 1½ hours to complete their work. After homework is done their agendas are checked before they can get to karate class. 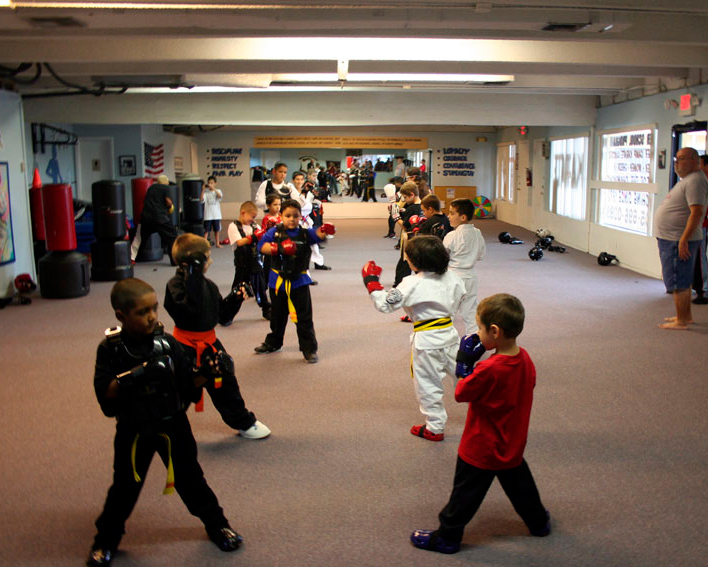 Our unique children's programs offers a lot more than just self defense and physical fitness. Our educational Martial Arts program and unique achievement program will teach your child history, geography, safety, and much more. But the best part of all is that the Martial Arts will give your child the discipline to study. This leads to increased concentration at school which pays off in the form of better grades. Our programs will teach your child about setting goals, leadership, and taking responsibility. These qualities more that any others will help your child ensure their success in school, college and life. The Martial Arts will also help your child develop physically. Our programs increase speed, stamina, and strength in children. The program also develops balance, coordination, and timing. This will help in other sports and activities. Your child will enjoy the Martial Arts because our high energy classes are full of excitement and fun! Perhaps the best part of our program, from the children's point of view is how much fun classes really are. Our high energy classes will focus your child's energy in a positive and productive manner. The Martial Arts teach self defense skills that could save their life. While we wish it were not even a factor in our program, the fact remains that we live in a world full of undesirable people. The Martial Arts will teach your child how to protect themselves from danger. This invaluable skill may save their life. Martial Art training at our school will provide your child with personal attention not found in other schools to ensure rapid progress. 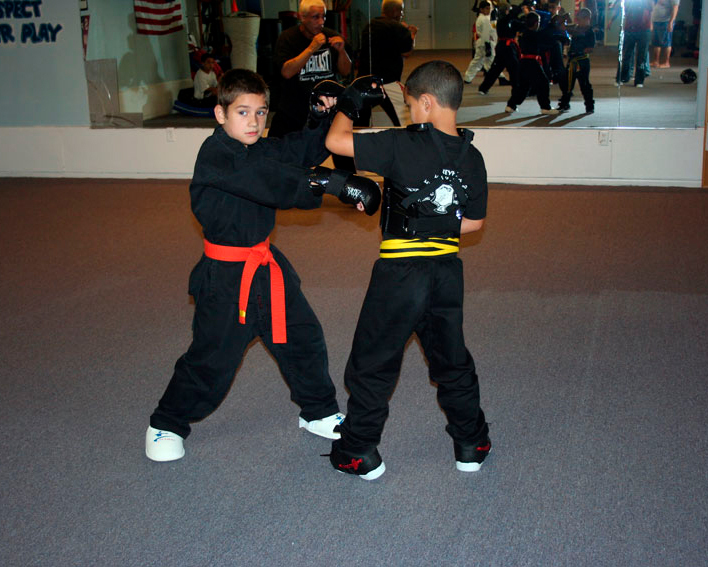 Reyes Martial Arts After School Program focuses on quality and personal attention to students. All our classes are taught by highly trained instructors committed to excellence and continued learning. When you enroll your children in the Martial Arts you can feel safe in the knowledge that they will be receiving the finest instruction available. Remember we are not a daycare! We require strict discipline in our Martial Arts School. Students have certain responsibilities that are theirs alone. Example; clean uniforms, homework agenda, B average, respect by saying yes Sir and yes Mam, proper behavior. As part of our Karate after school program. We focus on education by communicating with parents. Hialeah School of Self Defense strives for a B average of our students to graduate to the next level. We realize that all students won't carry a B average all the time, so constant communication with parents and Karate instructors keep students motivated to bring those grades up. Their time here will include time for snacks, games, quiet time for homework and, of course, Karate training. In addition to all that, here is the added benefit - your Karate class tuition is included in the cost of the program. I made a recent survey of local day care provider prices. They range anywhere from $35 - $85 per week. At $50.00 per week we are a great deal for what you get. We are very excited about the program. This fills a need for parents and with the Karate training, the returns are far greater than any day care can deliver. This provides a tremendous service for you and your child - we handle your child until you get off work and your child gains self confidence, self control, greater hand-eyed coordination, concentration and a knowledge of self defense. You can't get any better deal than this anywhere! All child care provides that will be caring for your children go through background screenings, Department of children and family 40 hour child care course, continuing education courses, as well CPR and First Aid.